Ginzo is an izakaya-style restaurant located in Yokogawa, but what caught my eye was the way it advertises itself as a 100 yen drink bar. Yes people, ¥100! 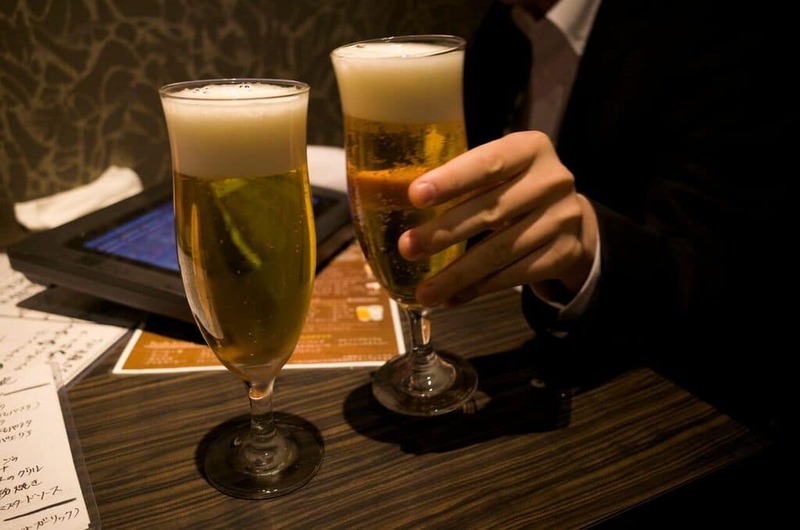 I assumed it was 100 yen for the first drink and then subsequently more after. Not so! 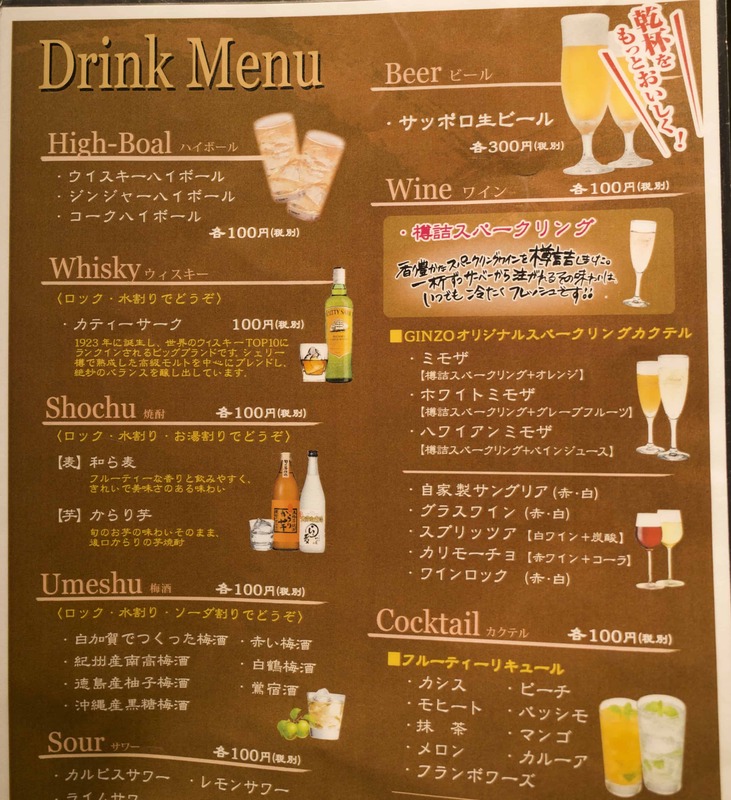 In fact, all drinks on the menu, bar beer, are ¥100 (beer is ¥300). The only condition: order over ¥2000 worth of food. Easy peasy my partner in crime and I agreed. And so we proceeded to drink and drink and drink. The food menu is quite extensive with a nice range of Japanese and Western inspired choices from raw ham to carbonara and favourites like kare-age. 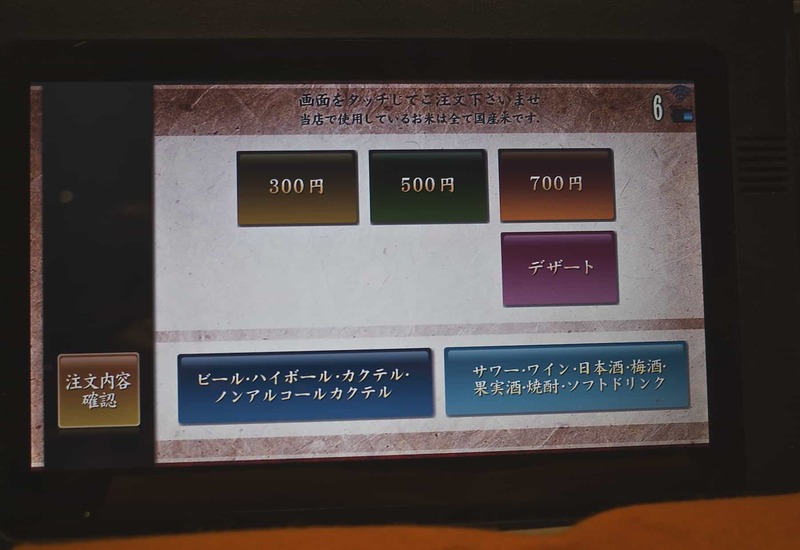 It’s easily separated into ¥300, ¥500 and ¥700 categories and you order via a touchscreen located within your booth or at your table. 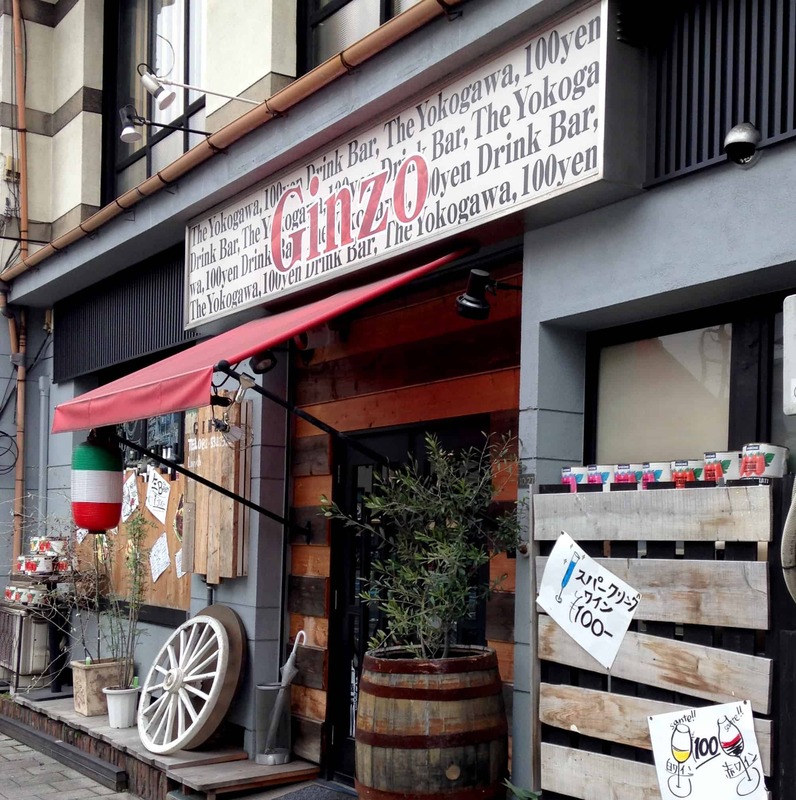 Ginzo consists of two floors with izakaya-style rooms downstairs and table seating upstairs. There is also an option for a private room for parties. My friend and I stayed until closing time and I vaguely remember the bill. My empty wallet the next morning would testify to the fact that we drank (and ate) a lot more than I initially thought. Yep, 11 red wines and 6 beers between us to be exact. Good times. Just not so good the next morning.